Have a home to sell in Bryan or College Station? Call Andrea Peters Realtors, Bryan College Station Real Estate Specialists at Keller Williams Brazos Valley. Located in Bryan, this beautiful new 2775 sqft home (courtesy of Hall Homes) features plenty of built-in shelves, wood floors throughout the house (carpet in the bedrooms), granite counter tops, an inviting kitchen island bar and breakfast room, Rain shower heads, a Whirlpool tub, stained cedar garage doors, and both a prewired alarm system and a prewired outdoor TV connection on the back porch. There’s so much beauty to be seen at 3340 Fiddlers Green, so feel free to come check it out. Located in Bryan, this swanky 3 bed/2 bath home features wood flooring in the living room, tile flooring in the kitchen and dining room, backsplash, and island bar, vaulted ceilings, a jetted spa tub in the master bathroom, clean crisp blues and yellows throughout the house to balance richer, darker colors in the living room and bedrooms (giving the house a sleek, modern look), and a heavenly backyard view. Featuring tile floors in the living/dining rooms, vaulted ceilings throughout the entire house, a jetted spa bath tub to compliment the spacious master bedroom, a 2-car rear-entry garage, a private courtyard, and a glorious backyard view, you might just find yourself falling in love with the warm, elegant appeal of this lovely home. Have a home to sell in Bryan or College Station? Call Andrea Peters Realtors, Bryan College Station Real Estate Specialists at Keller Williams Brazos Valley. 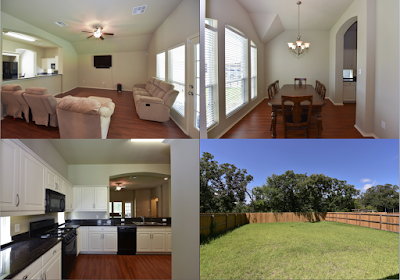 You’ll want to take a look at this cute 3 bedroom, 2 bath, 2 car garage home in the popular Southwood Terrace neighborhood close to Rock Prairie athletic complex, pool, schools, and TAMU shuttle stop. Step into the bright, open living area featuring bay windows, raised ceiling, brick fireplace with gas logs, and sliding door out to deck. The kitchen, dining, and living areas have dramatic slate flooring, making cleaning a snap. The kitchen offers lots of counter space, eat-in breakfast bar, pantry shelves, upgraded appliances, and an oversized sink. The master bedroom has a raised ceiling, and another bedroom has built-in shelving for easy conversion to a study. Relax in the spa-like bathroom, which has a jetted tub with marble surround and raised ceiling with indirect lighting. 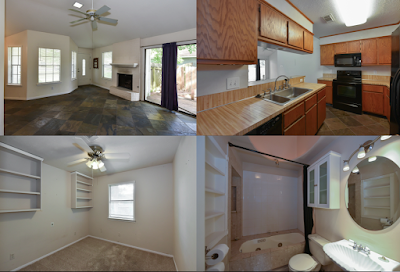 Extras include window blinds, ceiling fans, a large garage, and sprinkler system. With a little TLC and imagination, the tri-level backyard deck could provide plenty of entertaining area. 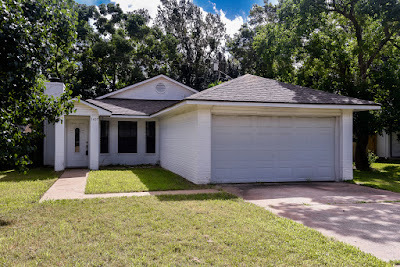 Bryan-College Station listings last updated Jul 5, 2015 6:07:am. You must see this very well maintained home in Meadowcreek. As soon as you step in the door, you are greeted with light and space. Hard flooring in the living areas make cleaning simple, and arched doorways add architectural interest. The well-appointed kitchen has a breakfast bar, pantry, and plenty of granite countertop for cooking prep. A built-in desk and shelf in the hallway alcove provide an ideal place to work or study. Escape to the master bedroom with a spa-like bathroom, featuring separate vanities, an oversized soaking tub, and shower. Entertain outside on the covered patio and in the large backyard, or enjoy the neighborhood pool, clubhouse, and park/playground. Bryan-College Station listings last updated Jun 28, 2015 6:06:am. Have a home to sell in Bryan or College Station? Call Andrea Peters – Realtor, Bryan College Station Real Estate Specialist at Keller Williams Brazos Valley. Listing Description: An immaculate designer home in Carter’s Crossing for those with impeccable tastes. When entering, you will fall in love beginning with the 2-story living room accented with a wall of windows, stone fireplace, custom built-ins, and the open floor plan. The gorgeous interior offers a spacious kitchen with center island and sparkling granite counters, 4 bedrooms, 2.5 baths, first floor laundry, formal dining and breakfast areas, a second living area/den upstairs, plenty of storage, and a wonderful master suite with jetted tub. Outside enjoy the large covered patio and garden area just off the breakfast nook. Make an offer today on this premiere property. Are you or someone you know dealing with a situation where a current home is for sale and will be moving into another that has been recently purchased? College Station’s Down Payment Assistance Program may have an option for you to consider when taking on a new mortgage while trying to sell your existing home. The changes within the program include offering gap financing on a need basis with shared equity up to 30% of a home’s sales price. Another term for this is a bridge loan, as it “bridges the gap” between the sale of a current property and the purchase of a new property. This is typically a short-term loan scenario, and with College Station’s new program this would also include a 0% interest deferred loan that is payable when the current property is no longer being occupied by the owner. Listing Description:Well kept 4 bedroom, 2.5 bath home. Enjoy the spacious living room with raised tray ceiling, triple crown molding, stone corner fireplace, valence framed window, and hardwood floors, open to the kitchen. Large kitchen with eat-in bar, lots of granite counter space, and stainless appliances. Breakfast/dining room opens to the covered back porch and features chair railing and crown molding. Large master bedroom with raised tray ceiling, door to patio, and master bath with granite-topped double vanity, jetted oversized tub with stone surround, separate shower, and lots of storage. Large utility room has half-bath and folding and hanging areas. Looking for something fun or exciting to do over the weekend? Our Community Spotlight Feature aims to provide you with events or activities that are great for anyone looking to do something new. Whether it’s a charitable opportunity, a festival, new restaurant, or sporting event, we at Andrea Peters have hand selected it with YOU in mind! This weekend, our friends over at the Texas A&M University Vet School’s Student Chapter of the American Veterinary Medical Association’s Travel fund have teamed up for their annual See Spot Run 3k and 5k Fun Run/Walk Event. Not only does it give you a chance to work out and spend quality time with your dog, you’ll also be supporting a great organization! The event begins at 8 AM at Wolf Pen Creek Park in College Station. Walkers and Runners can still sign up online until midnight on Thursday, January 29th, or you can register in person the morning of the race. If you want to participate, but don’t have a dog, you can still run in the 5k. Dogs are required for participation in the 3k. Don’t forget to bring Fido’s rabies certificate and their rabies tags! For more information, schedules, and the race maps, check out the Texas A&M’s See Spot Run website.